In 1990 John Cage met sho player Mayumi Miyata, who requested he write a piece for the ancient Japanese mouth organ. Cage was deeply impressed by the sound of this instrument and in 1991 he wrote 'Two3' for sho and five water-filled conch shells � one of the so-called 'Number' pieces Cage worked on during the last years of his life. 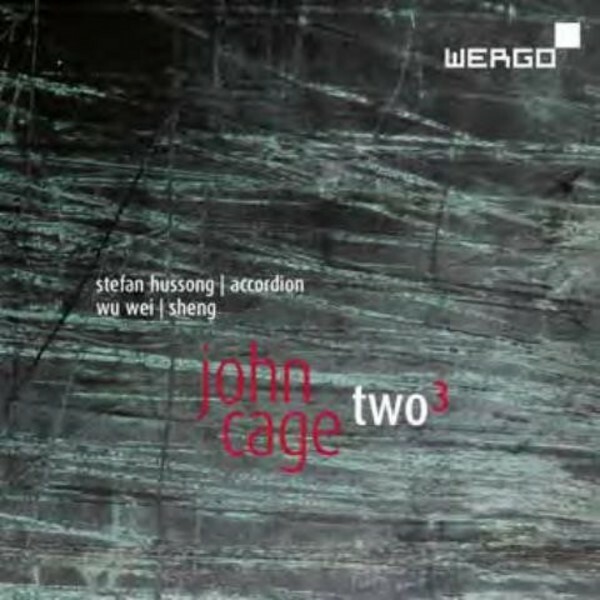 Although the sound of the piece's structure remains a mystery to rational thinking, it is directly accessible to sensory awareness � especially in the interpretation here, played by accordion player Stefan Hussong and sheng virtuoso Wu Wei.